Google finally said goodbye to with its Lunar X award Prize for private companies in aerospace industry. After 10 years, despite ambitions and effort, the winner and not determined, and $ 30 prize money millions of got to anyone. The prize was established in 2007 by Peter Diamandis and Marcus Shingles. In order to become a winner and get $ 20 million, it was necessary to land on the surface of the Moon is a private self-propelled spacecraft. AND it's not all: it was necessary to overcome the less than 500 meters, and also conveyed to Earth high-quality photos and video images. Another $ 5 million promised for second place, the remaining $ 5 millions distributed would be in As a reward to losers, but distinguished participants. Originally in 25 teams participated in the race, but at A big finale was just five: Moon Express of Florida, Japanese Team Hakuto, Israeli SpaceIL, Indian TeamIndus and international group Synergy Moon. Them repeatedly made concessions, constantly enduring deadline: first 2012, then 2015 , the end of the 16th and On the 17th . The final date was 31 March 2018. The contest had to be closed ahead of schedule, since none of the finalists, if you look at situation sober, not will have time to this time to conquer the moon. " This one in literally jump to The moon is complicated, and despite what is up present time, we expected the emergence of the winner, due to the difficulties in collection of money, technical and administrative problems $ 30 million remain unused " - said the founder of the fund X Prize Foundation Peter Diamandis. But talk about the complete failure of Lunar X Prize is not worth it. 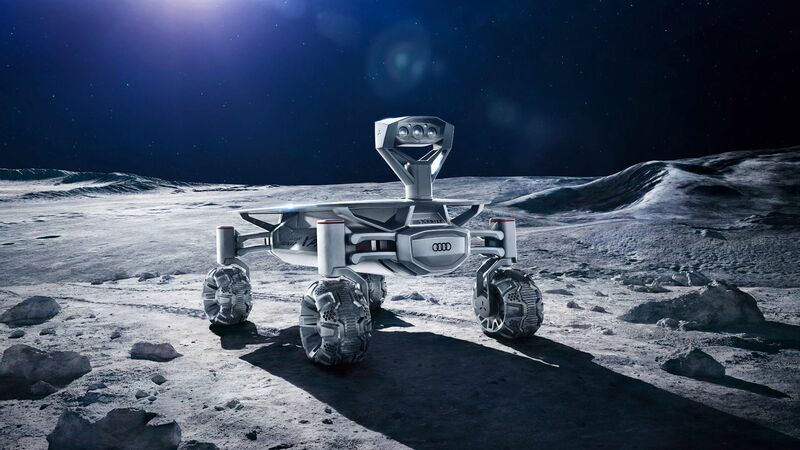 For example, the finalist Moon Express initiated negotiations with the US government on creation of a legal framework allowing commercial companies to fly to the space and landing on The moon. SpaceIL, TeamIndus and Hakuto promise to continue working on projects. Not lower their arms and retired in Last year Astrobotic Technology and PTScientists. Recall that in competition participated and emigrant from Donetsk region , now living in Canada, Alexander Dobriansky with son of Sergei. Alas, $ 20 million also not see.